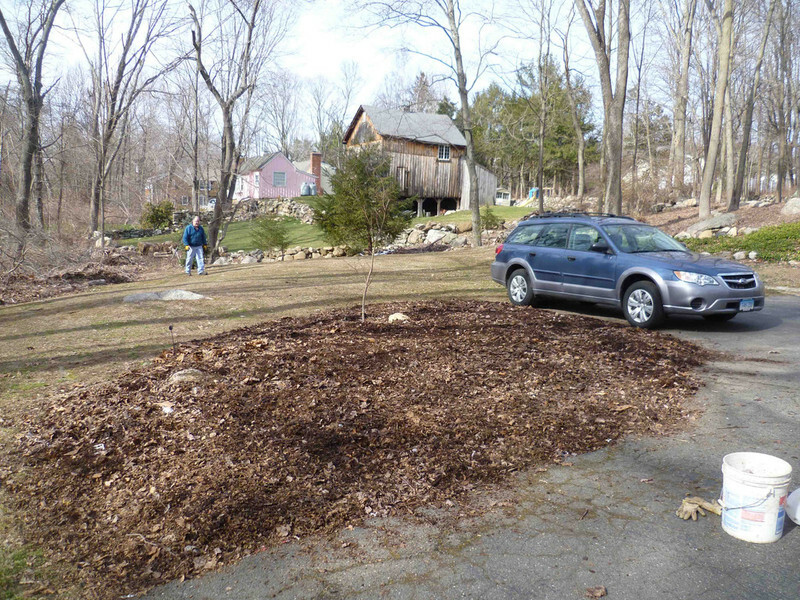 At this private residence in Weston, an enormous boulder was removed from an area adjacent to the driveway with the intention of making the entire area easier to mow. 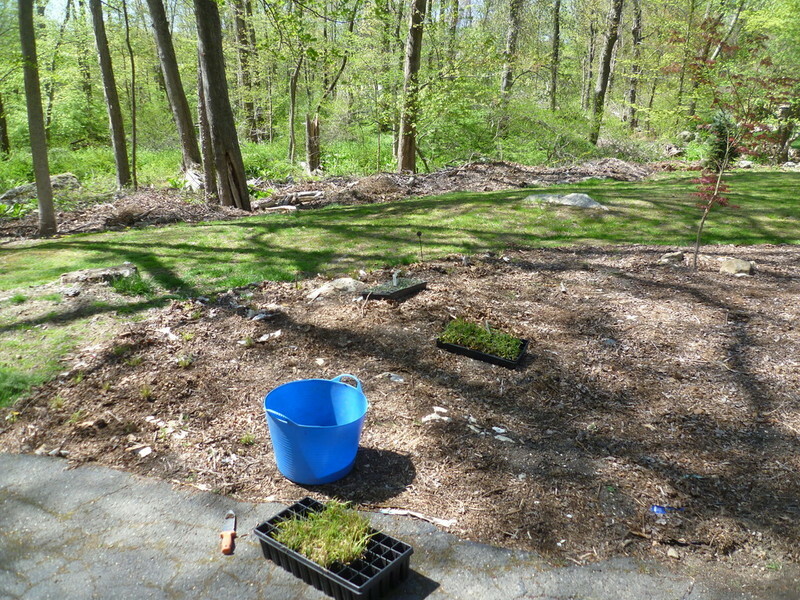 But rather than just filling the area in with topsoil and reseeding with lawn, the owner decided to make his mowing duties simpler by creating an experimental meadow area that he would only have to attend to once or twice a season. 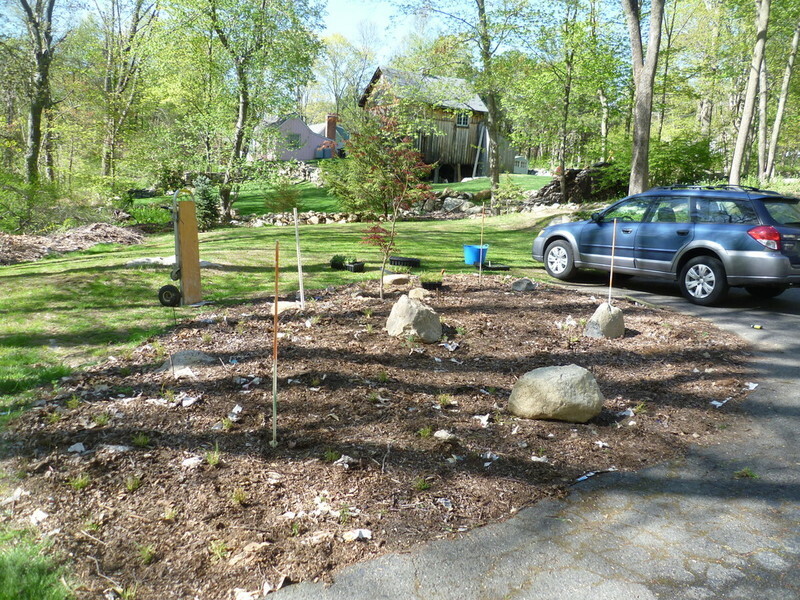 A small batch of topsoil was brought in and mixed with the native material to fill in the crater and to level the site. 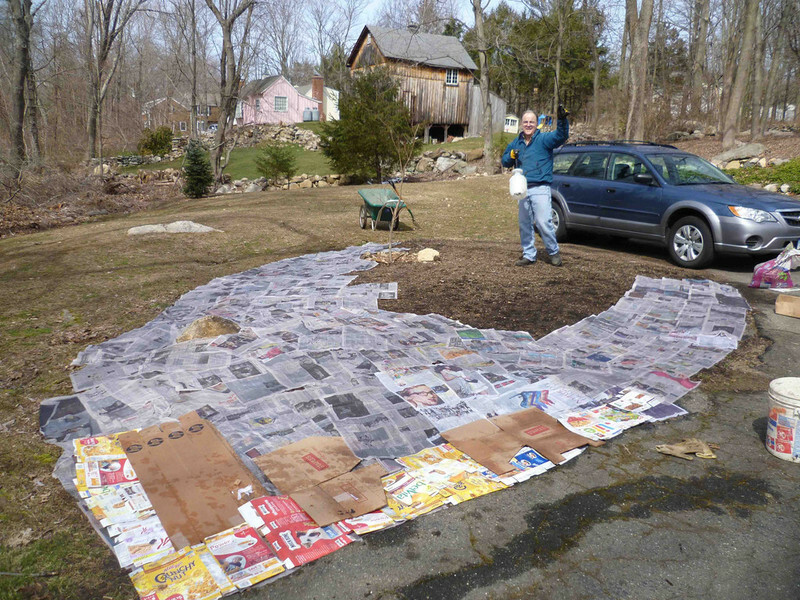 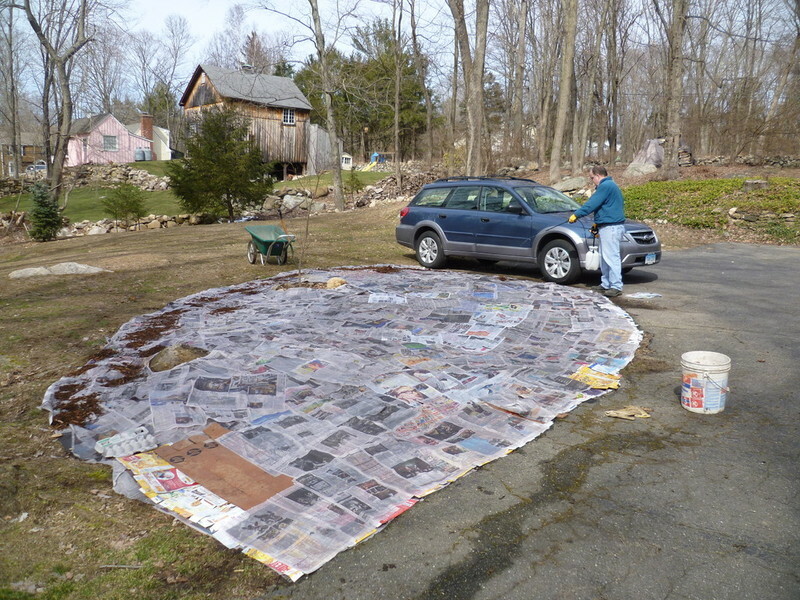 To suppress weeds and help create a adequate planting medium, thick layers of newspaper and compost were spread over the area in the early Spring. 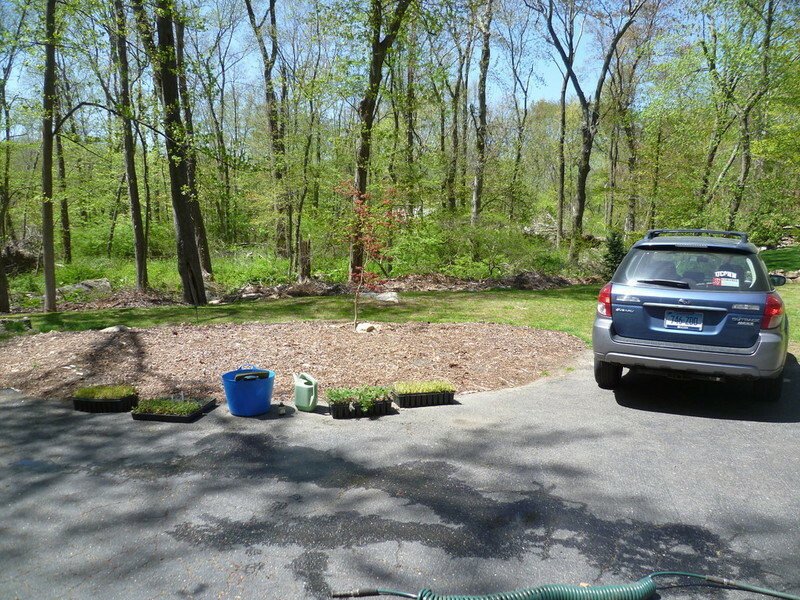 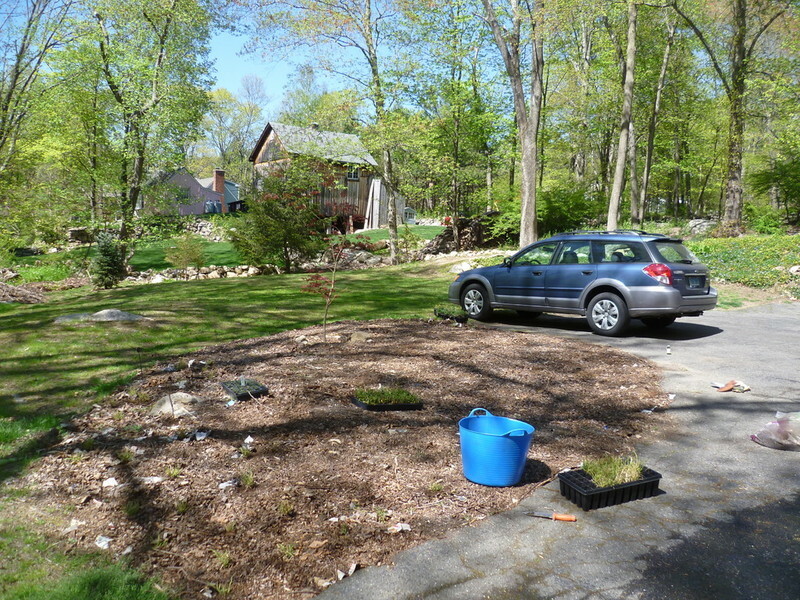 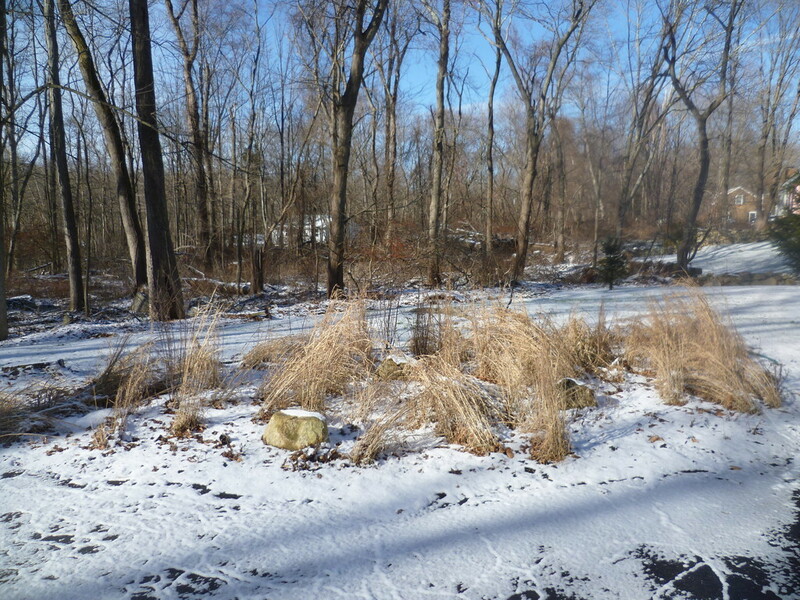 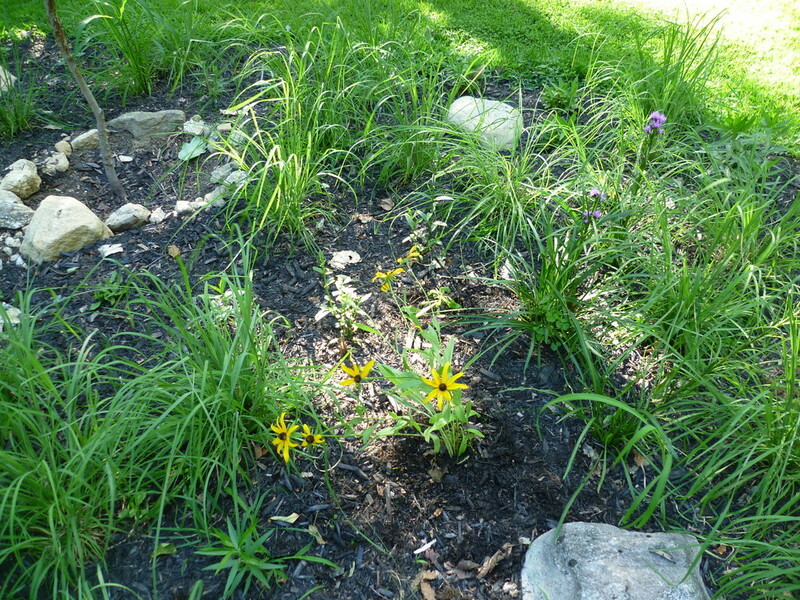 Approximately a month later, hundreds of native grasses and perennials were planted into the sheet mulch layer. 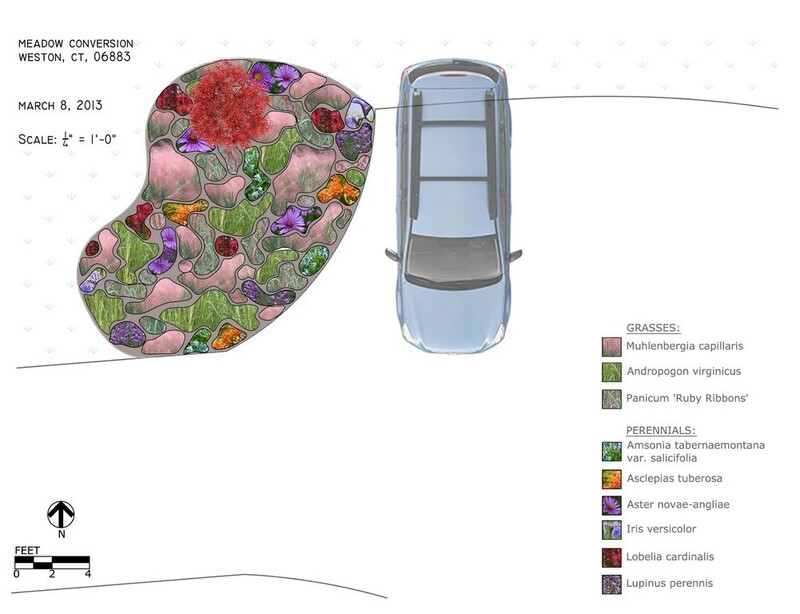 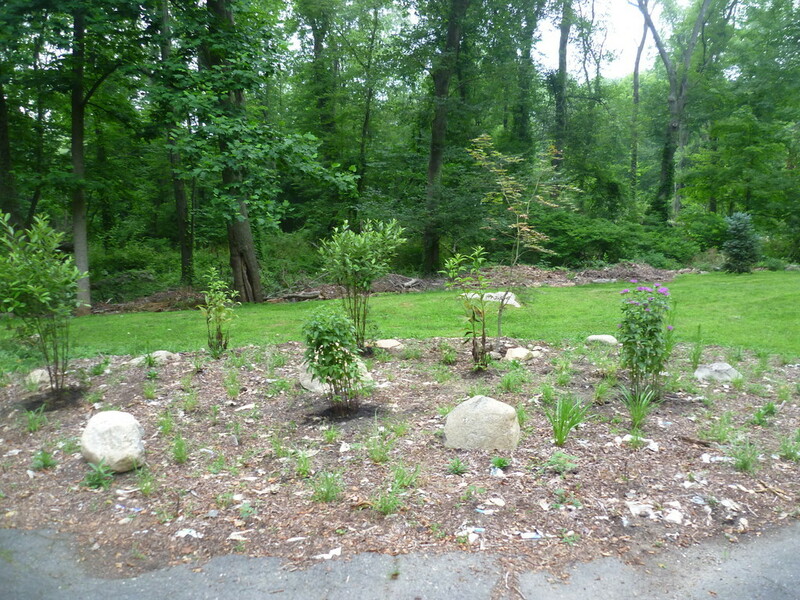 Additional mature material such as Chokeberry (Aronia) and Joe-pye Weed (Eupatorium) were added later.